The first international chapter of GCPWA launched in December 2017 in Coimbatore, Southern India. Priscilla Brighton, President of GCPWA India, is passionately committed to reaching out to the millions of women seeking God’s word with the inspiration of faith. In their first month, GCPWA India has hit the ground running. In early December, members of GPCWA held a celebration at the Tinkle Kids Centre, they gave Christmas cakes to caretakers after sharing the nativity story, some gospel music and teaching the children a song. These women kept their momentum going with a second event in December, hosted by Mrs. Ida Samuel, one of the chapter’s members. More than 50 women and children gathered to hear the gospel. A splendid meal was shared, and the children received Christmas gifts. 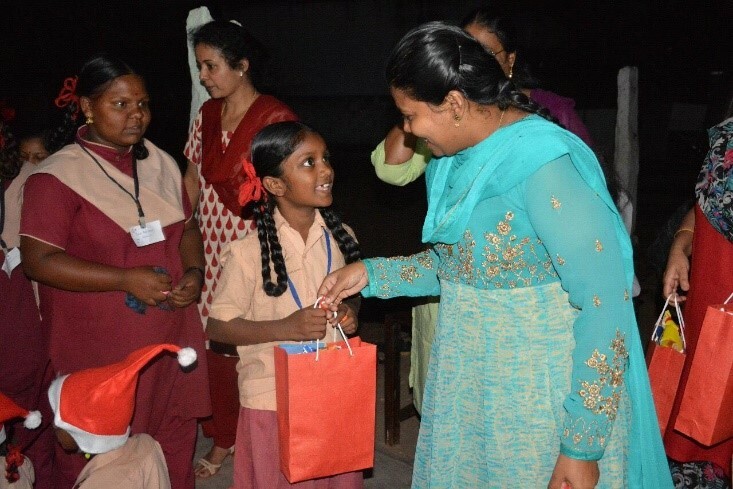 Their final event of the year was held at the Shining Stars Centre in an economically poor community, excluded by society, where members brought gifts and shared motivation. Individually, members have taken it upon themselves to help widows and families in their struggles. Their dedication and service is an example for us all of for how live out James 1:27 - Pure religion and undefiled before God and the Father is this, To visit the fatherless and widows in their affliction, and to keep himself unspotted from the world. Please lift GCPWA up in prayer that they may continue to win souls and carry-out God's important work in their community and beyond.